Hello internet, Fudge Queen here. So this past month, I have been given the opportunity at Flour to do their pastry of the month! So I went about trying to think of the perfect dessert we didn’t already have- something shelf stable, different in flavor/texture than other desserts and something that would challenge me and expand my knowledge of food a tiny bit. And TADAAAA! Fudge was born. After searching through tons of recipes, I settled on one where I thought I’d be making it the old-timey way- no marshmallow fluff, sweetened condensed milk or just powdered sugar. I found a recipe and have been testing it a couple times at work and modifying the recipe to make it better and now I want to share it with you! 1. In a heavy bottomed pot, place both sugars, maple syrup, corn syrup, heavy cream and salt. 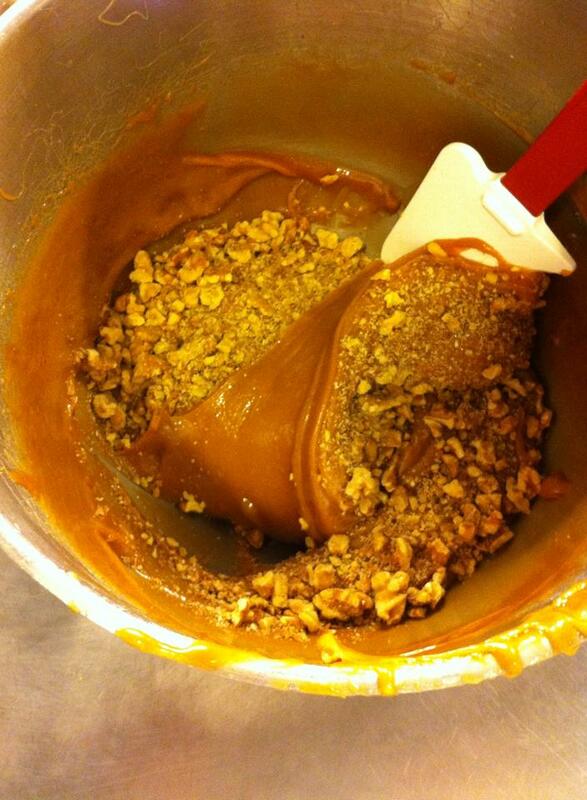 Using a heat resistant rubber spatula, stir over heat until the sugar dissolves completely. Use a pastry brush to wipe down the sides of the pot with water occasionally as the sugar cooks. 2. Once the sugar is dissolved, wipe down the sides of the pot once more*. Occasionally stir the mixture until the thermometer reads 180 degrees. Let the mixture cook on medium heat until it reaches 240 degrees (this may take awhile). Don’t adjust the heat unless the sugar begins to bubble up too high. *Wiping down the sides of the pot is really important for one reason: crystallization. Basically as the water evaporates out of the melted sugar, it starts to return to its natural crystal form. For the beginning of the cooking time, the sugar crystals can be added back into the pot and be re-melted but after a certain point, you’ll contribute to OVER-CRYSTALLIZING the sugar which will result in a super gritty fudge! Ew! 4. 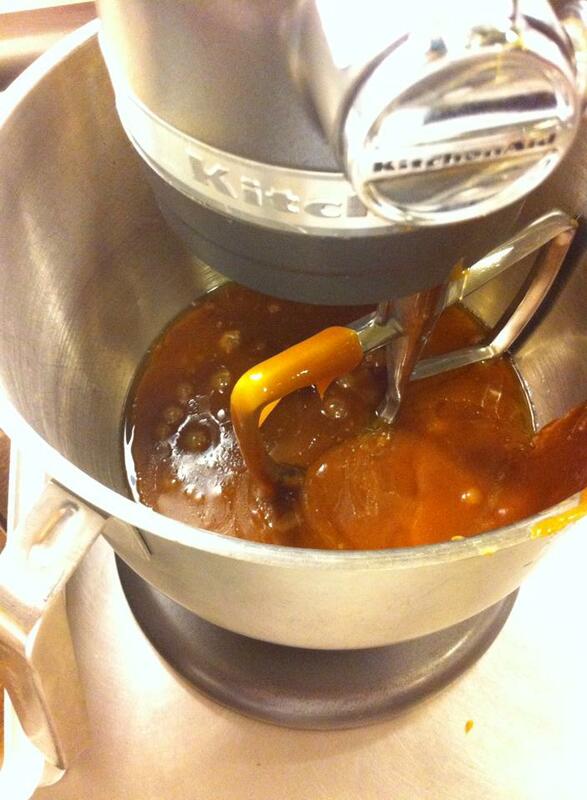 Fit your mixer with the paddle attachment and scrape in the cooled fudge mixture. Begin to mix on medium high speed- this may take about ten minutes. Once the color begins to lighten and it starts to grip and form strings to the side of the mixing bowl, it’s just about ready! 5. 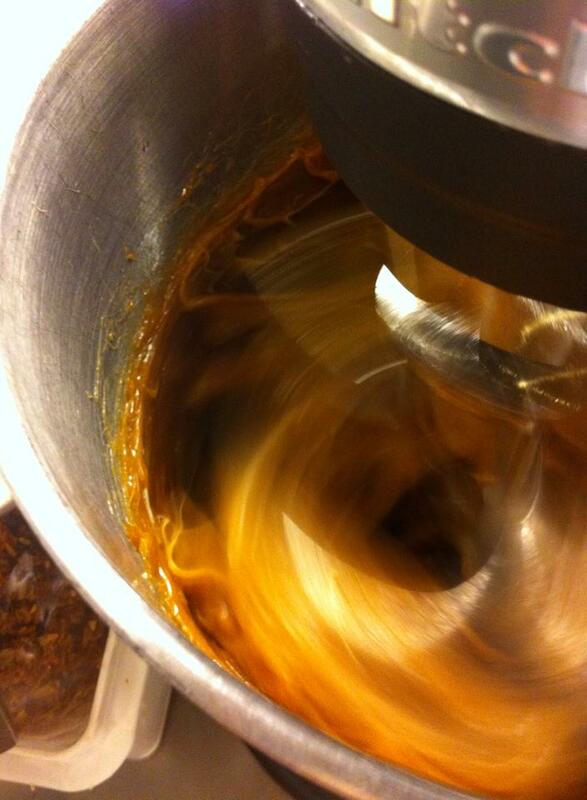 Be careful not to overmix your fudge either or else it may begin to clump up slightly since it is cooling down. Fold in your chopped walnuts. 6. 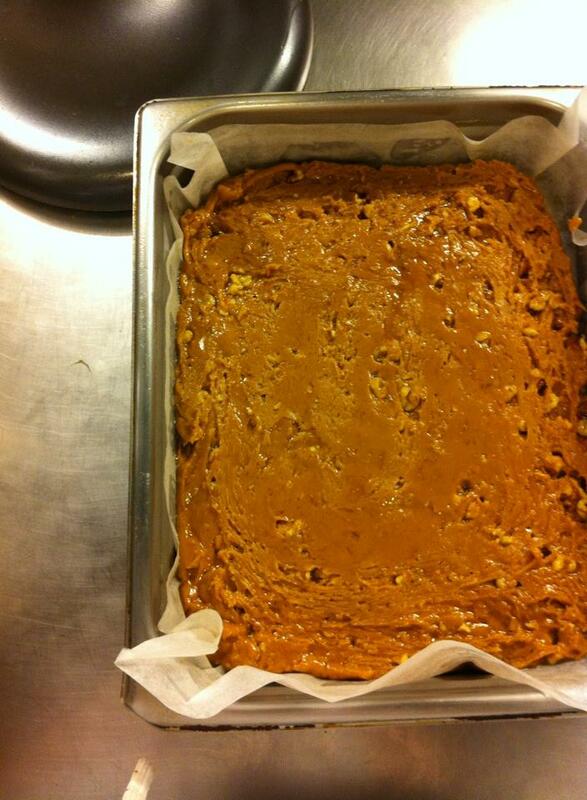 In an 8×8 greased and parchment lined pan, add your fudge mixture and spread out with an offset spatula. I’d also maybe suggest pouring it into small, greased muffin cups for individual portions! Refrigerate for 2-24 hours before serving! This is how my final product turned out below! This was the final of a couple tests that I did! 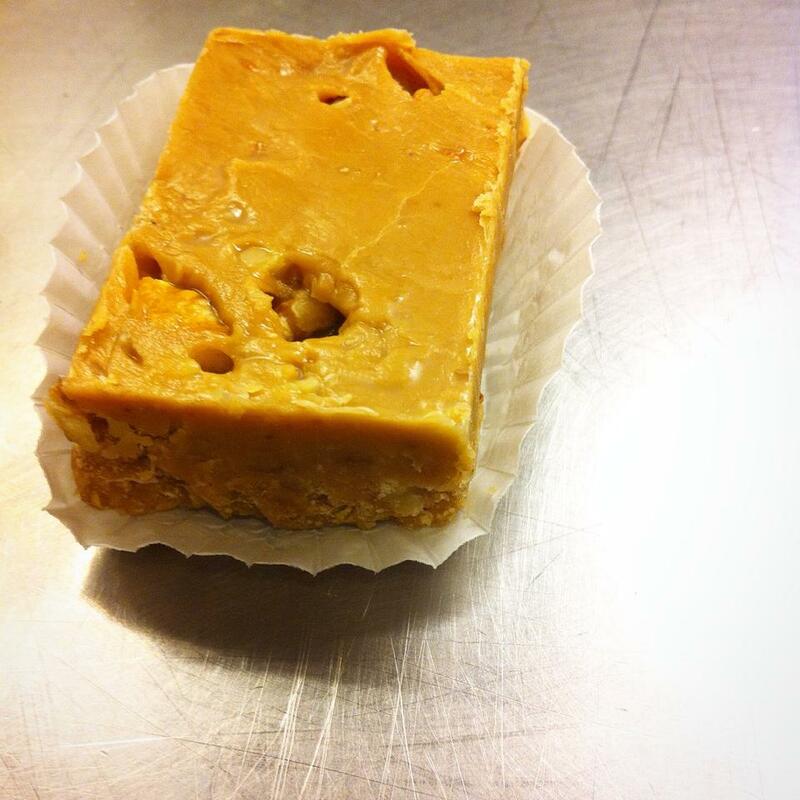 In my first test, the ratio of sugar was higher which resulted in a softer fudge that kinda melted at room temperature. The fact that I crystallized the sugar too probably didn’t help… oops. The second test had a much better texture but it was so sugary-sweet. So I ended up lowering the maple syrup a little bit and added salt to help balance the flavor! After another test to be sure, the recipe was finalized. Bada bing bada BOoOoOOoOm. I had so much fun experimenting with this recipe and exposing myself to more “candy-like” items! Let me know if anyone tries this at home! Good luck and bon appetit my friends!